The annual “Rainbow” LGBT 3rd forum was held in Aghveran on July 14-16. During the forum, LGBT community representatives and supporters discussed LGBT issues and ways to combat them, issues of LGBT people in the provinces, LGBT persons’ family issues and other legal and social protection concerns. 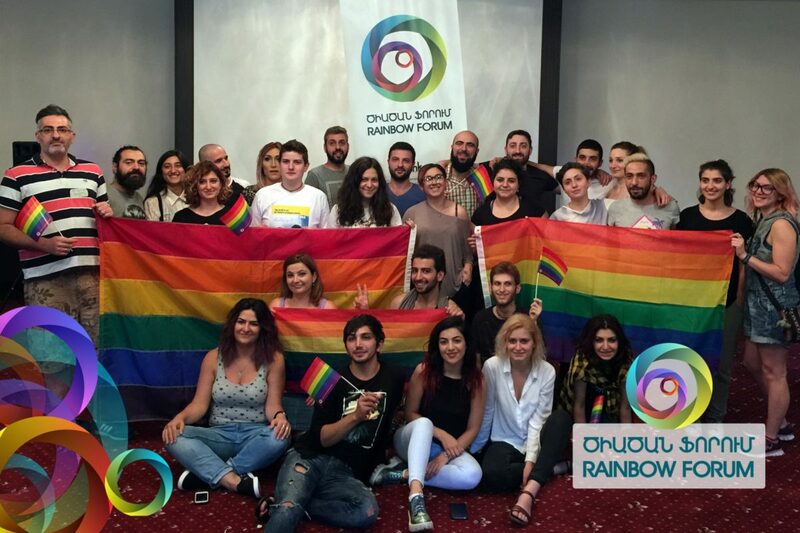 Organizations working on LGBT issues presented their reports, and the relationship between the NGOs and the LGBT community was discussed. This year 59 people attended the forum.